Need help quoting for a project? A lot goes into creating a comfort zone. Smart technology, innovative design, premium components. But all of that would be no good to anyone without the expertise and high-quality service you provide. That’s why we’re investing in our Vaillant brand awareness with our new TV ad – to help you grow your business and help even more homeowners across the UK find their comfort zone with Vaillant. As part of this £multi-million investment we've updated our brand promise to homeowners. Vaillant - Comfort for your home. We want to help you capitalise on the new £multi-million TV and digital advertising campaign. That’s why we’re giving Vaillant Advance installers packs of ready-to-use marketing materials (posters, leaflets, email templates) to help you win more customers. Once you've become a Vaillant Advance installer, been through our free product training and started registering your installs, you will be listed on our website for homeowners to search for their local Vaillant Advance installer. This will give your business great exposure to local homeowners looking for new heating or service & repair work. Sign up to Vaillant Advance for free and find out the ways we can help you advance your business, your knowledge and your earnings. To find out about our new product launch, click here. 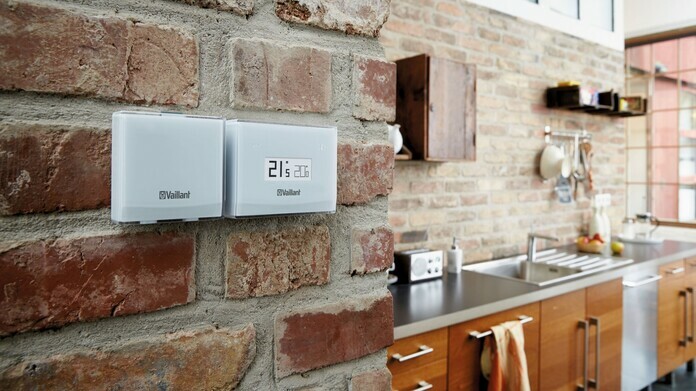 The Vaillant vSMART gives you control of your home's heating and hot water anytime, anywhere, from one easy-to-use app.